Diwali or Deepavali is the time of the year when all the Indians make an extra effort to clean up the house ,apart from decorating it and making savouries etc. The First step in Cleaning is Purging, and now a days with growing technology, we have so many CD’s that are of no use as they get corrupted or data in it is no more needed or you just have an extra copy of the same stuff or it might be even a blank CD. 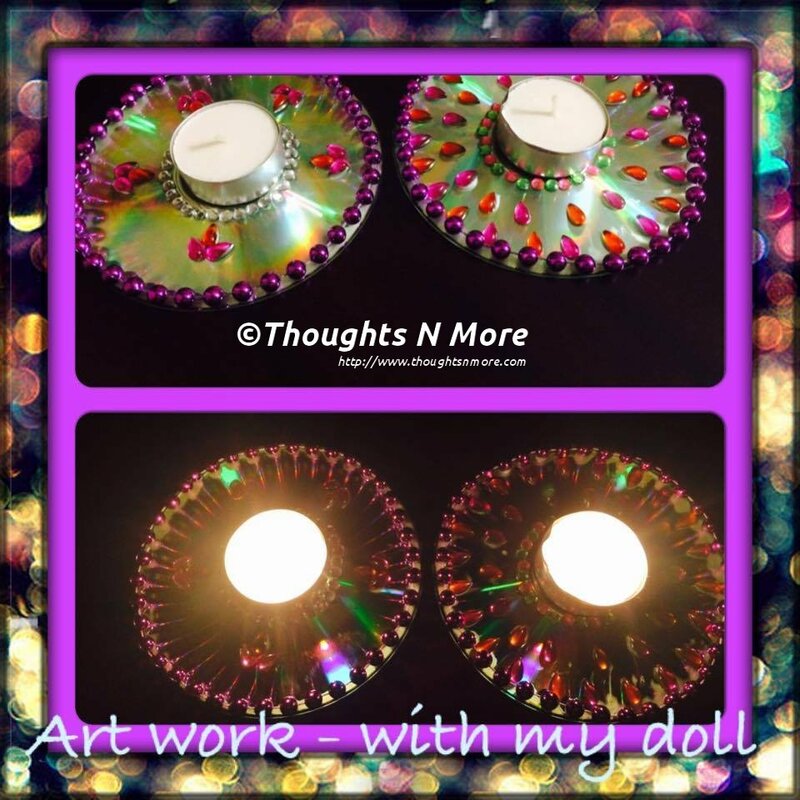 Collect all those CD’s, gather some beads,rhinestones and let your kids make wonderful Diwali diya’s out of it. Want to go out of box, use the 3-D paints, Glitters,felt cloth , if the kids are too small just use the fancy colorful stickers. You have happy kids , guilt less parents (guilty of letting them watch too much electronics, while you are busy doing all the cooking and cleaning) and a Beautiful piece of art to decorate your home with LIGHTS of LOVE.Not to mention those little cute faces will beam with pride when those diya’s are lit by Mommy.